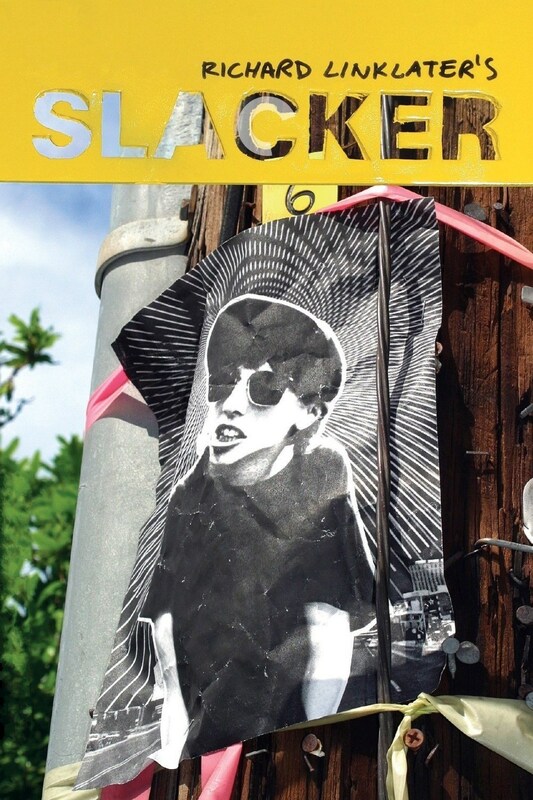 Earlier this week, The Modern School of Film’s series, Film Acoustic, moved its program from the Carolina Theatre in Durham to the N.C. Museum of Art in Raleigh for a screening of Richard Linklater’s 1991 breakthrough debut SLACKER. Milazzo was right, SLACKER did indeed screen really well, except for the fact that it was really cold that evening. Linklater’s film, which concerns a day in the life of Austin, Texas with the roaming camera going from eccentric character to another, was well received by the crowd, some of who were smarter than me and brought blankets, but I could tell from the vibe that they were more there for Gibbard. After the film ended, Milazzo brought out his guest of honor with these words: “It’s really amazing that for a movie that quotes Tolstoy, Nietzsche, and Madonna, to have with us someone that Spin Magazine called ‘the poet laureate of the young and hopeful.’” The audience applauded and wooed “Professor Ben Gibbard,” as Milazzo called him, as he walked onstage to talk SLACKER, and various other related, and non related, topics. Gibbard: “It was a movie that I saw when I was going to college in Billingham, and it really resonated with me because I recognized so many of these characters in my friends and myself. Conversations that are happening throughout this movie are the kind of pseudo intellectual college conversations that you have at the time feel really deep, but once you kind of remove from them you recognize how silly some of them were. But I just love the fact that this movie takes place over 24 hours in Austin, Texas, and it does such a great job of putting forth the minutiae of what happens in a college town. The absurd, but also kind of beautiful moments as well; the humor. It really resonated with me when I saw it and I come back to it every couple of years, and still really enjoy it. Gibbard: “To come back to that word ‘minutiae’ I’ve always enjoyed focusing on small moments in life and tried to blow them up and make them something larger than they actually were, and I think that in this movie you have all these little vignettes that flow fairly seamlessly as one character passes another then the camera follows them. And, you know, there are obviously some kind of funny, silly moments in it, but there are also some kind of beautiful moments there. Gibbard: “No, he didn’t – he just kinda looked at me and I walked out. But, no, I remember in the movie as the guy is walking into the diner, you can see it’s just like the skyline of Austin in the background, and nothing, just some warehouses. Now, there’s like a massive Whole Foods and condos, and it’s been interesting to see, you know, as I watch this movie I’m aware of where a lot of it was shot, just how much the city has changed. It’s the same when I see movies that take place in my hometown of Seattle, how much the city has grown and changed. 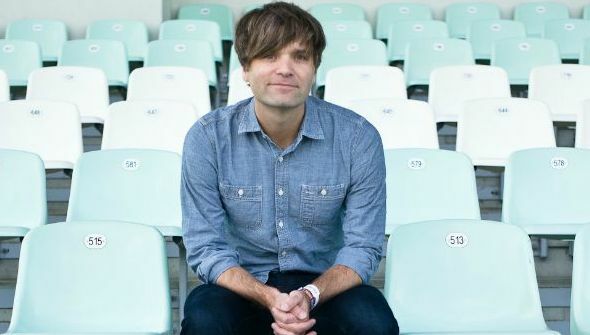 Gibbard: “Uh, it’s not really melancholy, I think that these kind of conversations and characters still exist in every college town in America, you know? For me, I see this film and it reminds me of a time in my life where these things were of the utmost importance. I look back at that time in my life fondly, that these conversions and these characters and the people that I knew in my own version of this were kind of like folk heroes of my college experience. You know, the townie who worked at the bar, the guy who’s in 15 bands, all that stuff, these people – you knew ‘em. And I think these people still exist, they’re just that age now. After some strained talk about the writing process (move it along, Milazzo! ), Gibbard fittingly tackled “A Movie Script Ending,” from 2002’s “The Photo Album,” took a stab at Nirvana’s “All Apologies” (he started playing the riff then said “I’m not gonna be able to do this”), did a rough but still solid version of “Steadier Footing” (also from “The Photo Album”), and concluded his appearance with a stunningly superb rendition of “I Will Follow You into the Dark” from 2005’s “Plans,” which you can watch a crude video of his performance that somebody recorded on their phone. Gibbard: “It’s not so much because of the lyrical content, and it might seem like a strange choice, but I really believe that “There She Goes” by The La’s is like the most perfect song ever written. It’s a perfect song – it’s short, it feels like you’ve heard it before but you haven’t. I had this moment, this is name dropping so forgive me, but years ago, Death Cab was playing a festival in Japan, and Teenage Fanclub is my all-time favorite band, they were playing…it was us, then Teenage Fanclub, then The La’s – they were doing a reunion.